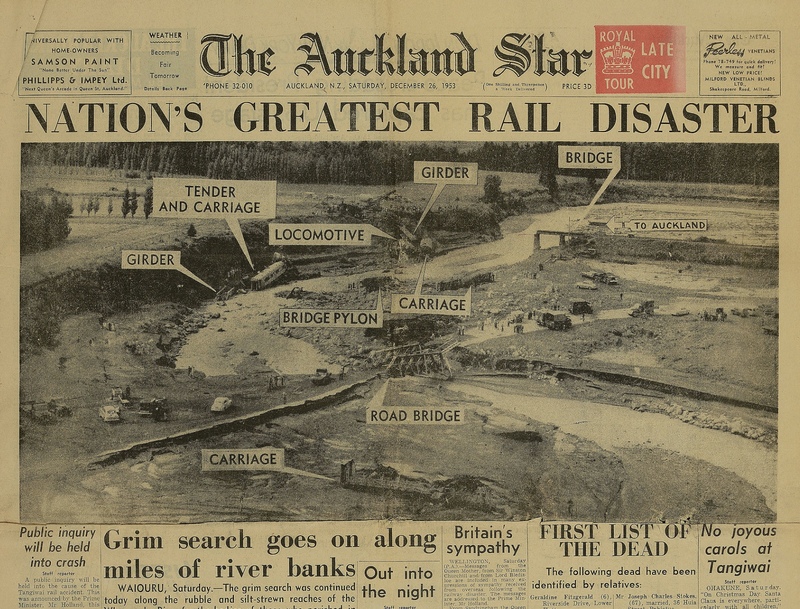 One of the more poignant parts of taking a trip on the train from Auckland to Wellington, is that you pass over the bridge at Tangiwai, the site where many died on Christmas Eve in 1953. 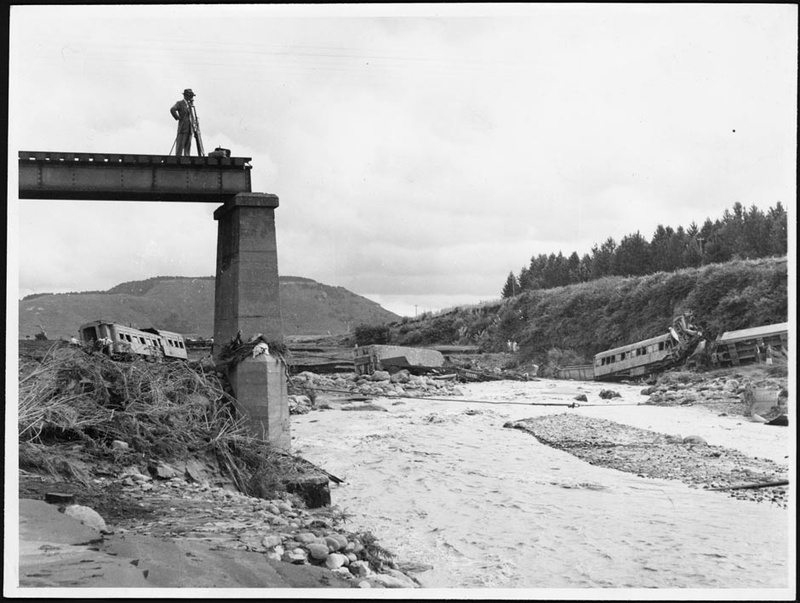 The mountain erupted and a deadly lahar headed down the creek-bed, wiping out the bridge shortly before the NZR passenger train hurtled into the breach. Sad, sad tale. 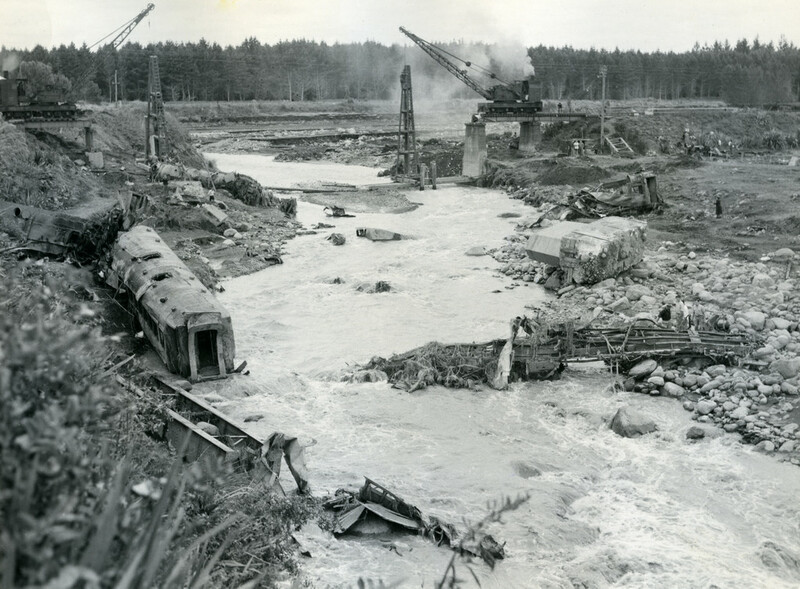 It is a bit hard to see the memorial from the train on the way – there is a small black vertical post, with the engine’s number KA 949 on it, on the nearby road itself, but that is not near the train tracks. 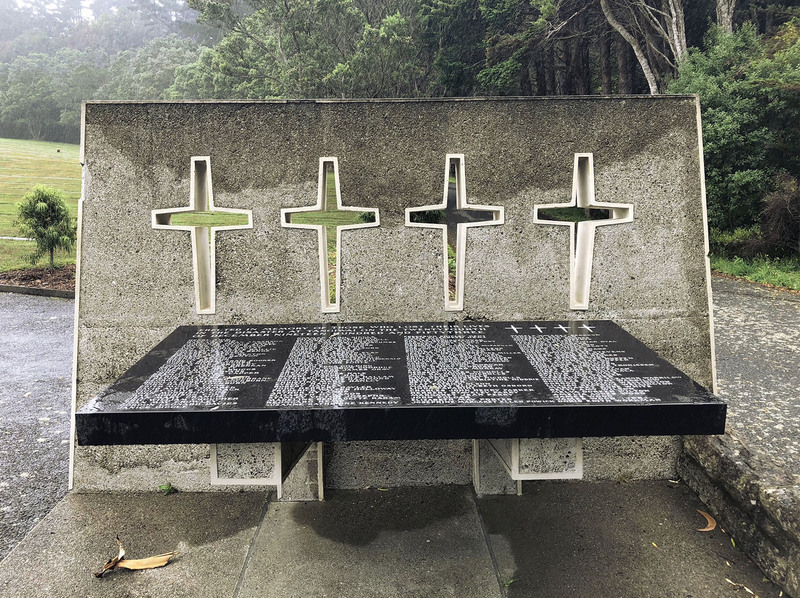 I have just discovered a wonderful memorial at the cemetery in Wellington, in a very beautiful modern form, with all the names of the victims inscribed. Never seen it mentioned before. Anyone know who the architect is? Post-script: found the answer myself, over at Ministry of Culture and Heritage. The Evening Post report featuring those photographs might mention the designer but unfortunately Papers Past stops at 1949. Thanks James Kirkus Lamont ! (Awesome name, by the way!). I’ll check out those links (you were held up in moderation – one link will get accepted automatically – two or more will be held in the spam queue till I’ve rescued it). Interestingly, E. A Plischke (Gordon Wilson was probably his nemesis) designed Peter Fraser’s grave which is only about 200m away from the Tangiwai memorial. I have it on good authority that a former cemetery staff member who was a big Star Wars fan clipped the hedge in front of the Fraser grave into a topiary of the Millennium Falcon.